You are starting to come down from your Thanksgiving high. There are few leftovers left in the fridge and now you are ready to get back to a normal eating plan. 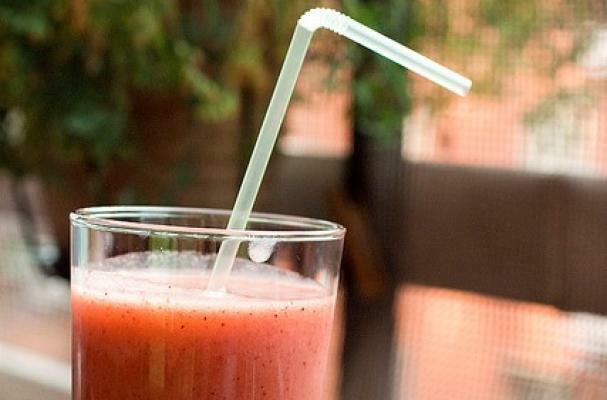 This pomegranate smoothie will give you the perfect jump start. Enjoy this light and refreshing drink for breakfast with some granola and piece of fruit. Cut the pomegranate in half, crosswise, and squeeze out the juice and seeds - as you would squeeze a lemon. Combine all ingredients and throw them in a blender; mix well. Pour in a glass and enjoy this refreshing drink.